JT or JAGADISH THAKER (Ph.D. George Mason University) is a Lecturer at the School of Communication, Journalism and Marketing, Massey University, New Zealand. 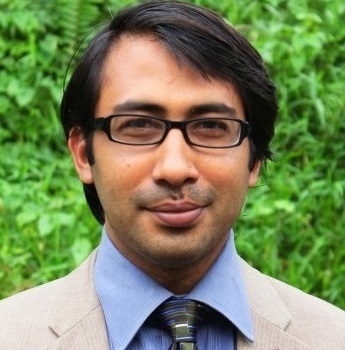 His research examines ways to understand and enhance vulnerable communities adaptive capacity to climate change impacts in India. Dr. Thaker specializes in the fields of science and climate change communication, health communication, and strategic communication campaigns. He assisted Dr. Anthony Leiserowitz to conduct the first national sample survey of Indian’s climate change beliefs, behaviors, and policy preferences, and has co-authored two reports: Climate Change in the Indian Mind, and Global Warming’s Six Indias, an audience segmentation analysis. Prior to joining Massey, Dr. Thaker was a Postdoctoral Fellow at the Department of Communication and New Media, National University of Singapore (NUS). He received Ph.D. from George Mason University's Center for Climate Change Communication. Prior to his Ph.D. degree, he worked in All India Radio, and did several odd jobs including as a newspaper boy and a call-center worker.